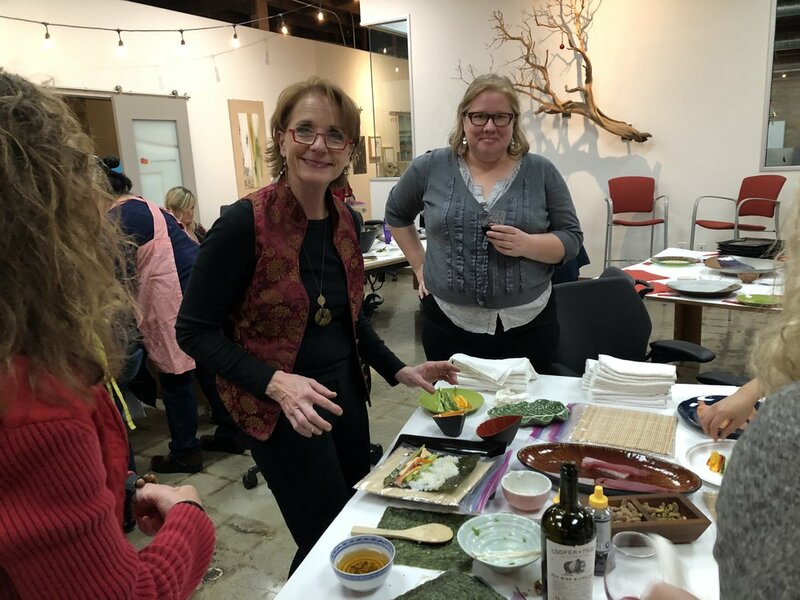 On February 27th, Shannon Leigh co-hosted an open house with Wilson Design Studio at the Norr Associates offices to celebrate our new work space. Teammates from the San Leandro office joined our Sacramento team in co-hosting the happy hour mixer. Gypsy, the office dog, was a hit! Shannon Leigh moved into the Norr offices in February and has been settling into this exciting collaboration space. It is a perfect fit - allowing our team to interact and cross-pollinate with the Norr architects, Wilson Design Studio landscape architects and designers, and other design professionals. The days are getting short and Christmas songs are playing on the radio, so you know it’s time for parties. Shannon Leigh and Station SL had a joint holiday party to celebrate the season. 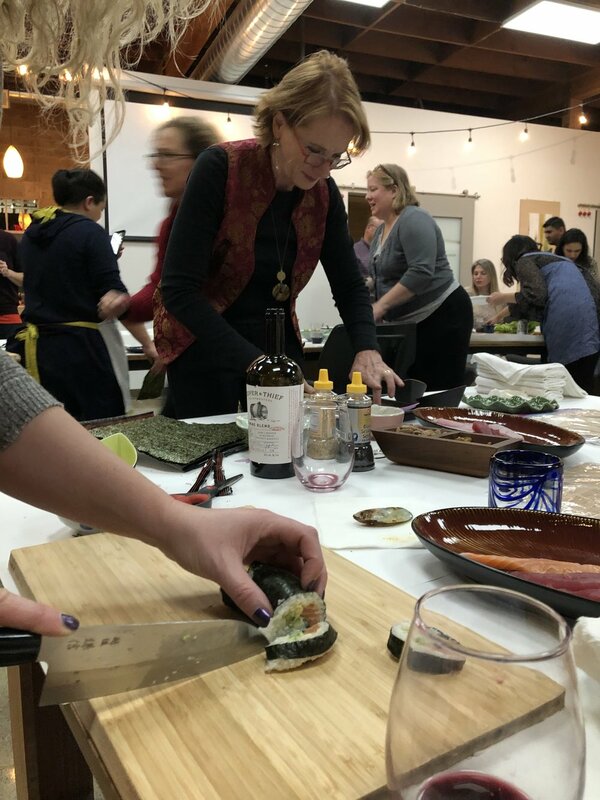 No there wasn’t a cookie exchange…We had sushi!! 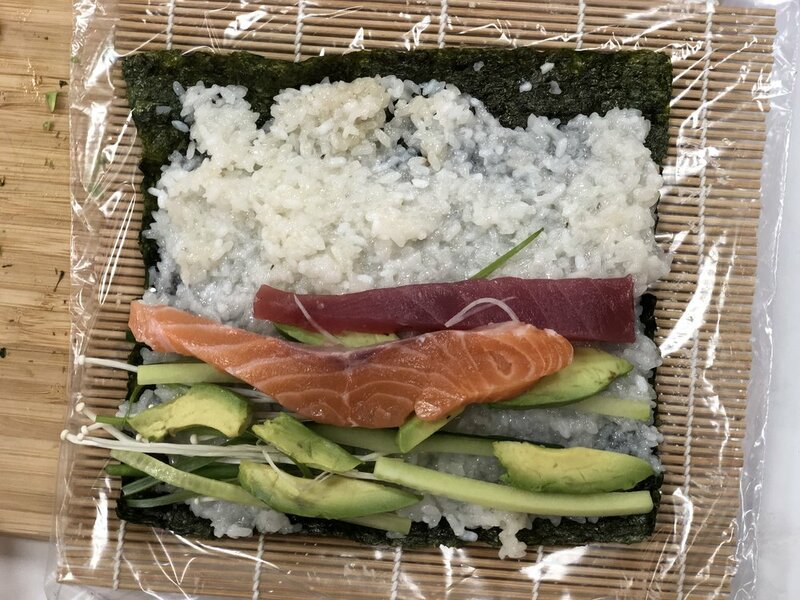 Sushi is a favorite lunch around the office and so it seemed a no brainer to have sushi for the holiday gathering. But never to leave things to others, the team at Shannon Leigh took it one step further. 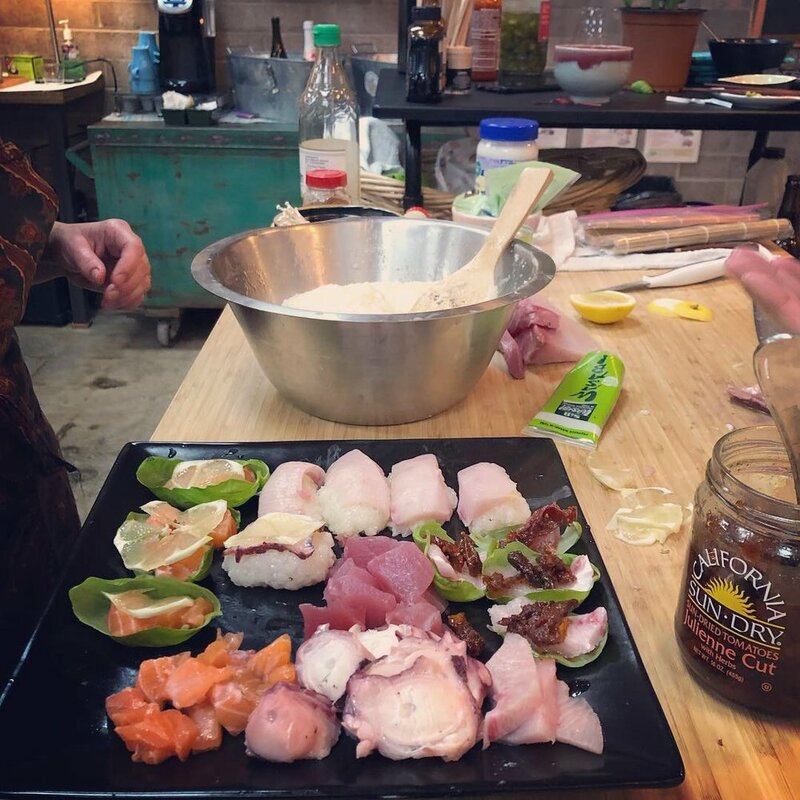 Our very own Brett Ellis, designer by day - sushi aficionado at any time, led the team, Station SL coworkers, and guests in sushi making! A little fish, a little drink, a lotta rice later…we can officially declare the holiday season is open! 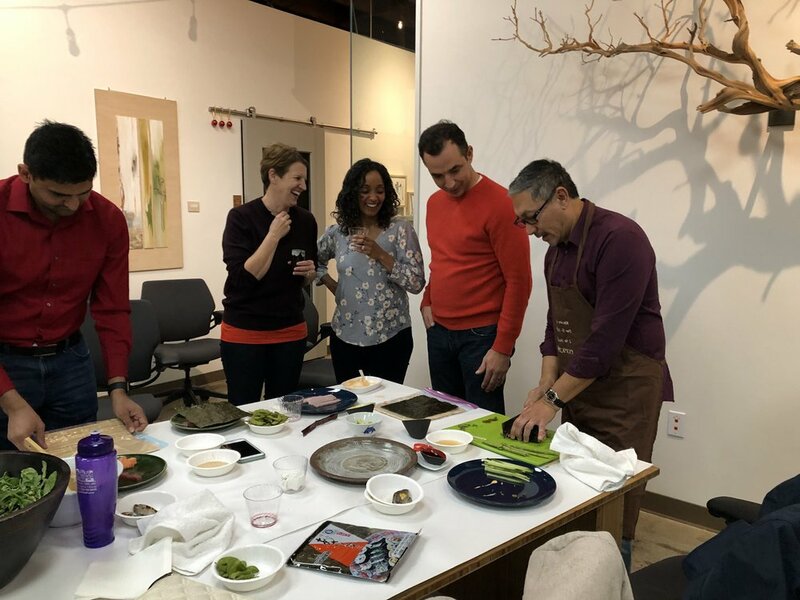 On November 13th, Shannon Leigh was happy to host Ivo Sakamoto - an architect from Brazil - who connected with us via SEGD, Society for Environmental Graphic Design. Ivo joined us for a day - shadowing the team and learning about studio practices that he can share with his firm. Ivo is a founding partner at DSIGN/SA, in Brazil. They also work in signage design, branding, and environmental graphic design. It was great to compare experiences and how things are different in Brazil for EGD firms. We hope he'll come back or invite us down! Let’s collaborate! Ivo Sakamoto, second from left in front, is traveling through the SF Bay Area to learn various practices from EGD firms. We were happy to host him for a day! Ivo taking a selfie while shadowing a working meeting with Beth and Shannon. We at Shannon Leigh truly care about our community and are always working to extend our business motto to our passion for philanthropy. On Wednesday, May 30th, 2018, the team at Shannon Leigh Associates volunteered at St. Vincent de Paul’s luncheon, where we to set up the dining space, made & served food to the homeless, assisted diners during the meal, and cleaned up after lunch. 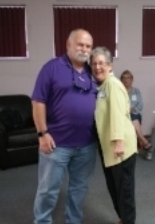 Established in 1938, the St. Vincent de Paul Council of Alameda strives to provide assistance for those in need. Their building operates as a shelter for the homeless at night and turns into a dining space in the day to serve the hungry with hot meals. For the lunch, we helped prepare biscuits and gravy, an egg scramble, pastries, and fresh fruits. Shannon and her team. Go Team! Luis laying out biscuits for baking. Chris working on the gravy. Margo wiping down the tables. Brett helping prep those biscuits. Luis and Brett washing dishes like the wind. We take a lot of things we have for granted today: the clothes we wear, the roof over our heads, and the food we eat, just to name a few. When we give back to our community, we remind ourselves that it’s about a lot more than just ourselves. Shannon Hackley (far left), owner of Shannon Leigh and Station SL, was acknowledged as one of the many vibrant small businesses revitalizing Downtown San Leandro. Shannon's newest venture is Station SL, San Leandro's first downtown, community-based coworking space. April 2nd, Mayor Pauline Cutter and Katie Bowman (Economic Development Manager) of San Leandro introduced Shannon and other entrepreneurs as a lead up to National Small Business Week, April 29 to May 5th. Get A Free Tour of Station SL! Come by and tour Station SL at 1455 Hays Street, San Leandro, Where Creativity Happens. Coworking Memberships & Private Office Suites Available! Opens May 1, 2018! Part of creating something new is making the space for the thing you want to build. We want to create a new design space, so the first step in creating our new office space was demolishing it. Demolition started on September 11th, 2017. The building was like a series of time capsules in building materials. Built in the 1950s, it started as a Prudential Insurance office. Then in 1957, it became Robert’s Awards, affectionately and locally known as “The Trophy Shop”. The building was a maze of small offices and a photography studio. Mid-century pink tile, wood paneling, trendy 1970s commercial carpeting…all were removed to start the process of stepping into the 21st Century. 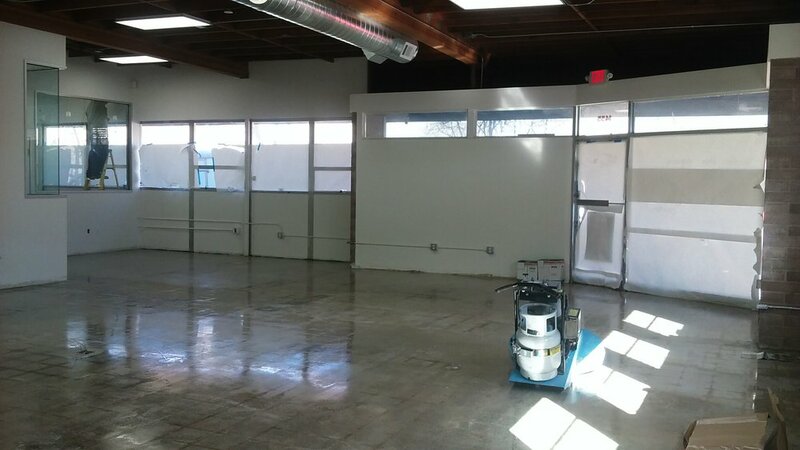 Once the demolition was completed, we moved to the next phase: building the new design space, including offices and a great coworking environment. We collaborated with architect Nathaniel Muhler of WIT Studio, who came up with a spacious and clever plan for our new home. Plans were submitted to the city and approved for permits. Next, we picked the best general contractor ever, Dave Weaver of Commercial Maintenance & Renovation, Inc. We also partnered up Tech Ambassadors for our technology needs. So, we’re almost done and getting ready to move in. The furniture is being assembled, desks are being packed, and the excitement is building. We are so grateful for everyone who has helped us build this amazing new space. Stay tuned…it’s almost time for the grand reveal! We move in next week! Shannon Leigh Expands into Sacramento! Our projects in the Sacramento area are growing and so are we. We’ve just expanded our Sacramento Office. We're excited to announce that we have hired talented new staff and moved our Sacramento digs to a larger, more centralized office in North Sacramento! Welcome to our new project coordinators, Leigh Miller and Merriam Yunus. We’ve moved to a cool new studio at 5250 Date Avenue in Sacramento. To celebrate, our entire team went up to break in the space with a presentation with one of our vendor partners. With our Bay Area and Sacramento branches, our team is ready to take on new placemaking projects with even more passion! 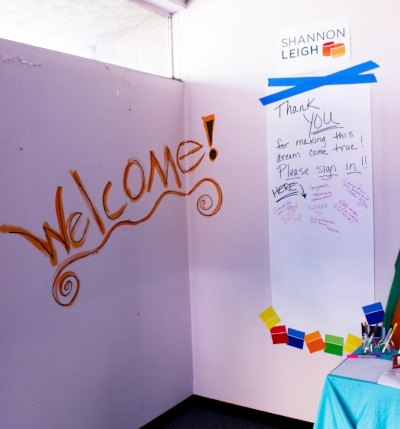 Once upon a time Shannon had a dream…a dream for creating a design space in San Leandro. And with a little luck and a lot of determination, she found a place perfectly situated in Downtown San Leandro. 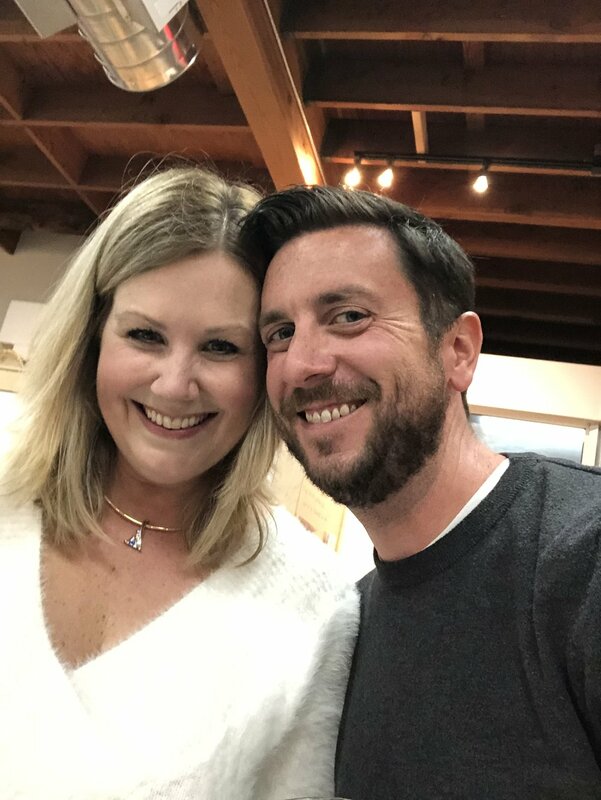 Now that the shock of having bought a building is wearing off, we are starting the process of creating a vibrant design hub to share with Shannon Leigh, and the San Leandro community, which is our home town. 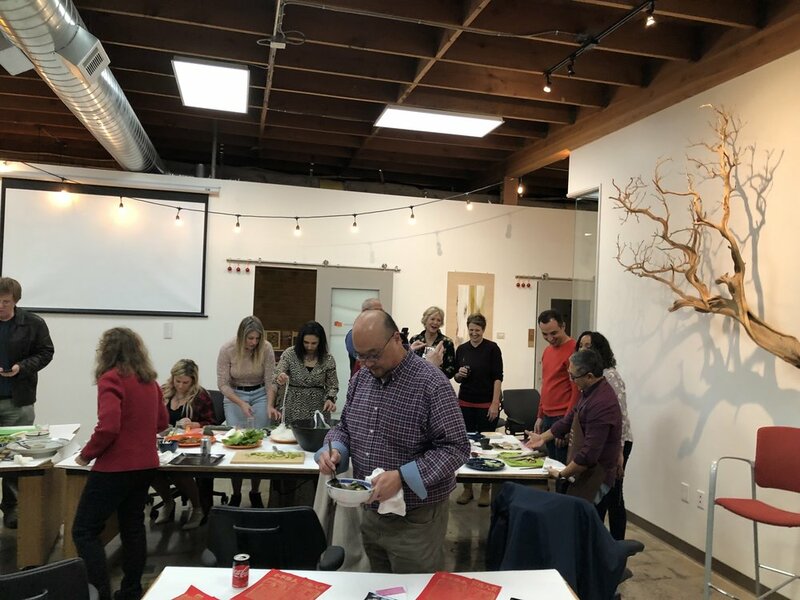 We planned a party to thank contributors and ignite our creative team to help build the vision for a new design center in San Leandro before interior demolition started. We wanted to do something a little different than the usual ground breaking ceremony. Because creativity is a passion, we knew we needed to do something that let the creative juices flow. 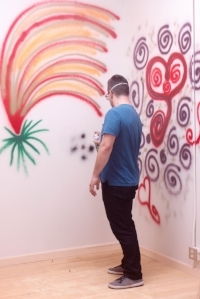 Remember when you were a little kid and were told to not draw on the walls? Tom Limon (Great Commercial Broker), his fabulous wife Christy Johnson-Limon and genius daughter got to draw on the walls! Nicole from Chamber of Commerce joined the fun. Ren Ellis- Illustrator joined the free form and set a higher bar. We also encouraged our guests to be painted! We hired Barbara from Hennahappens.com to paint our guests...Wow, it was a hit! We want to thank our friends and supporters who have played a part in make this dream a reality. We wouldn’t be here without you! Shazam! Shannon Leigh Bought A Building!! Shannon Hackley bought a 4000 sq ft building to move Shannon Leigh into… right here in San Leandro! Yes, we’re in shock. We can hardly believe it. It’s a dream that is coming true. You can’t imagine how excited we are! The building is located at 1455 Hays Street in San Leandro, the old site of Robert’s Awards. It’s a vintage mid-century office and it’s located in the heart of the very vibrant downtown! The previous owner, Robert’s Awards, started off specializing in bowling trophies, but it then became the place where the community purchased awards and plaques for sports teams and to commemorate events. Odds are that if you received an award for being on a sports team in San Leandro, it came from Robert’s Awards. This summer Shannon Hackley discovered this opportunity and bought it from the Robert’s family. We were drawn by the building’s location in downtown San Leandro – a definite bonus for our team who live mostly in the East Bay. It doesn’t hurt to be an 8 minute walk from Shannon’s home, a 1 minute walk to BART, and it has PARKING! We were also touched by the way the owners had become so woven into the community. We want to continue that legacy. There is so much ahead. We’re so grateful for this opportunity to grow in San Leandro. We’ve got so many plans and we’re looking forward to creating a new design focused center in our own home town where the Community can celebrate Design and San Leandro. Demolition of the interior has begun and we are planning to occupy by the end of the year! You spend so much time with the people you work with, that it seems like they are family. We are especially lucky to have some really great people on our team. So… we’d like to announce the three latest additions to the Shannon Leigh family. Tauz Hall is an enthusiastic addition to the group. 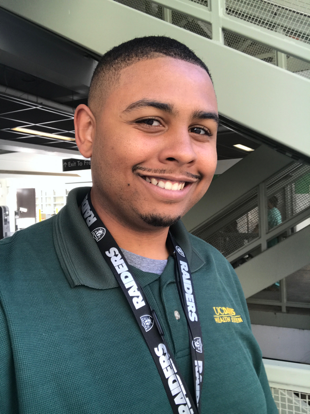 He comes to us from UC Davis Health System and will be helping us to coordinate our efforts on projects in the Sacramento office. His background is in customer service and graphic arts. Tauz likes to focus on the positive while problem solving and dig deep to focus on the visitor’s experience when he is working on a project. Another graphics geek, he brings a fresh design eye to our project management team. Rob Cardoso joins us with 20 years of experience in wayfinding and environmental graphic design. He’s worked on small and large projects, domestic and internation! He’s got an eye for high level design and brings that sense of detail to our team’s art department. But in case you think he is all-work-no-play, we’d like to point out that he also has a background in music and film and animation. We’re looking forward to his input on not only projects, but also tweaking our collaborative processes to create more innovative signage projects. 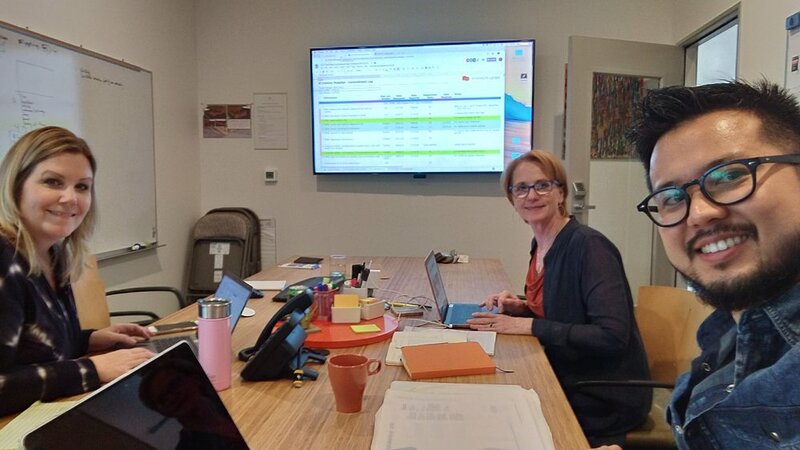 Suzie Gilliam has spent 20 years in property and facilities management for large corporations (Stanford and Oracle…) and is bringing her experience to us. She loves working on large projects and managing the details. She is adept at listening to her clients and creating lasting relationships, something she’s learned from the various projects she’s managed over the years. She’s quite the dynamo and it’s been fun getting to know her. All three of these folks have started to settle in and even participated in impromptu nerf ball battles. Yes, they’re going to fit in just fine!